The 2007 World Junior Champion has progressed rapidly since he first shocked top seed Lee Chong Wei in the first round of the India Open in 2009. Lee claimed he had an upset stomach, caused by eating Indian food, but that didn’t convince everybody. The Chinese youngster is, after teammate Lin and Chong Wei, the third best player in the world. His most arresting attribute is his physique. Standing at a towering 6’2″, and built powerfully, he can destroy opponents when on song. His speed and attacking prowess are amazing at times. 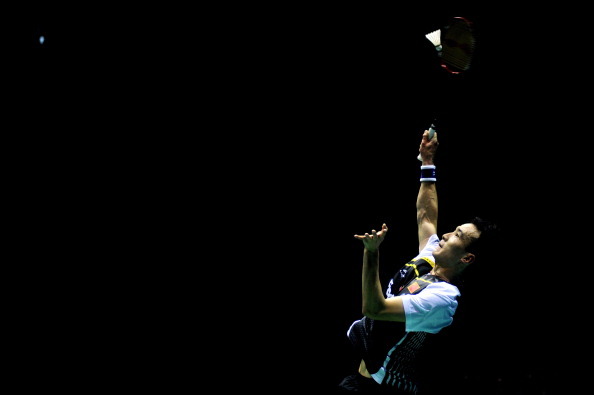 Chong Wei has managed to get the better of him during important matches, such as the 2011 All England and the 2012 Olympic semi-finals, but Chen Long is getting better with every tournament. Much was expected of him after he won the 2008 World Junior Championships in Pune, but he faded from view. A graceful, thinking sort of player, it was only over the last couple of seasons that Wang started to rise up the rankings. 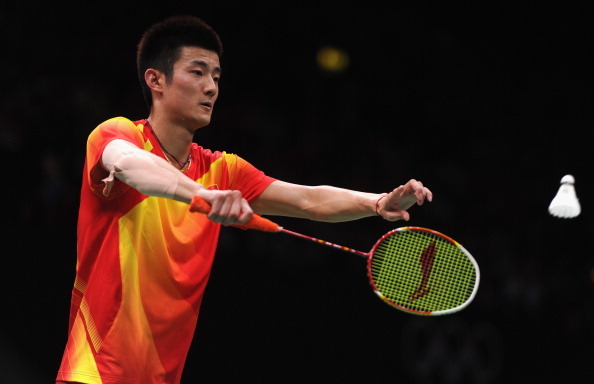 Eventually, his best performance came at the China Open recently, when he finished runner-up to Chen Long. At a career-best ranking of No.12, Wang will fancy his chances of climbing higher. Blossomed rather late for a Chinese player. He’s 24 and has risen to his career-best No. 6. For long, not many gave him a chance to pose a threat to the top players, but he has improved dramatically in recent times. Although he doesn’t seem very skilled, his great attribute is his absolute refusal to give in at any stage. Rather like Rafael Nadal, he throws himself at everything and retrieves impossible shuttles, forcing his opponent to strike three or four winners for every point. He has been inconsistent, but on the strength of his Denmark Open final performance, which he lost to Chong Wei by a whisker, he seems to be a horse for the long course. Reached the 2008 World Junior final, which he lost to Wang Zhengming despite becoming a darling of the crowds. Has struggled at the senior level, but has had some good results this year – reaching the semifinals of the Thailand Open and Indonesia Open GP Gold, and the quarters of the China Open, and should be able to progress beyond his current ranking of No.66. Has been struggling in the early rounds of the Superseries, but expect more dramatic changes in a couple of years. Winner of the Vietnam Grand Prix in 2010, he has had positive results against his contemporaries. Pushed Taufik Hidayat to three games at last year’s Macau Open and made the final of the 2012 Thailand Open, which he lost to Sony Dwi Kuncoro. Just 20, reached the final of the 2011 Russian GP, losing to teammate Zhou Wenlong. Made the second round of the tough China Open after two qualifying round victories. China has mostly been unchallenged in women’s singles since the early eighties. Currently, with five players in the top-ten, China are sitting pretty. Apart from the five (Wang Yihan (1), Li Xuerui (2), Wang Shixian (5), Jiang Yanjiao (7) and Wang Xin (10)), they have the resurgent Wang Lin, the former world champion who is making a successful comeback from injury. Has been in brilliant form from 2011, having reached the final of the 2011 Macau Open and Korea GP Gold, and with a title victory at the 2012 Australian Open GP Gold. With victories over several top-ten players, including world No. 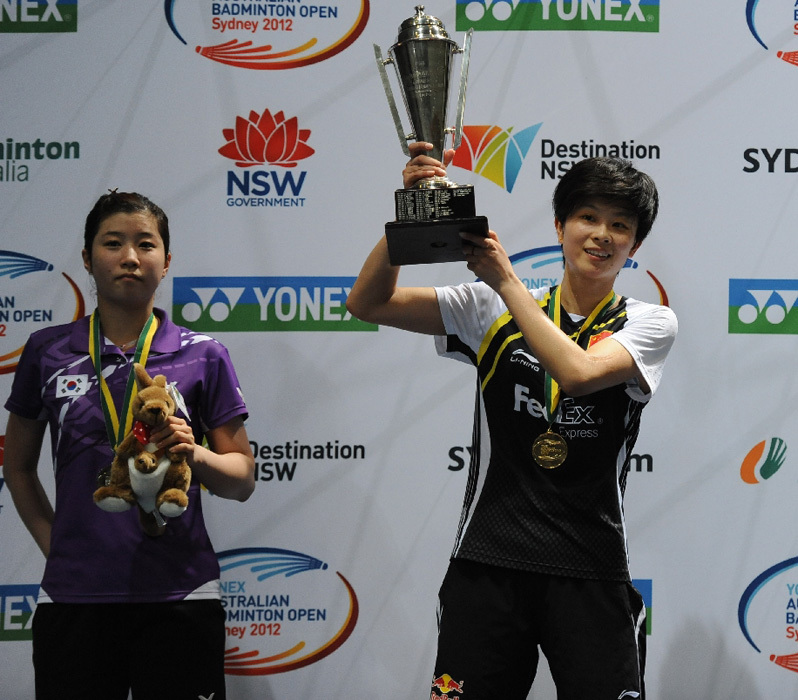 2 Li Xuerui, Ratchanok Intanon and Sung Ji Hyun, Han is likely to follow in the footsteps of her illustrious seniors. Pushed senior teammate Lu Lan in a torrid final at the 2011 Russian Open GP Gold, which she lost 23-21 in the third game. Has a number of big wins, including ones over the likes of Saina Nehwal, Wang Xin, Jiang Yanjiao, Tine Baun and Ratchanok Intanon. Won the Indonesia Open GP Gold 2011, beating veteran Pi Hongyan in the final. The home China Open Superseries this year saw a sensational performance from the 20-year-old, as she won two qualifying round matches, beat veteran Dutchwoman Yao Jie in the first round, and then took down senior compatriot Wang Shixian in the second. In the third, she ran into the World Junior Champion Minatsu Mitani, losing in a thriller, 19-21 22-20 22-20. The next season might reveal how far she can go. Won the Asian Junior (Under-19) title and had an impressive campaign at the World Juniors, where she won all her four team matches and reached the semi-finals of the open event. Also made the quarters of the Thailand Open.